This ultimate guide contains over 30 bite-sized tasks using the data within your Google Analytics dashboard to grow your blog. Looking to take your blog to the next level? Looking to increase your pageviews, decrease your bounce rate, and SKYROCKET your revenue? Then, this course is perfect for you! This electronic download shows the exact methods that Kelli & Crystal have used to grow their blogs by millions of pageviews! Still not convinced? Be sure to go here to read even more about SKYROCKET. This is an AWESOME resource! 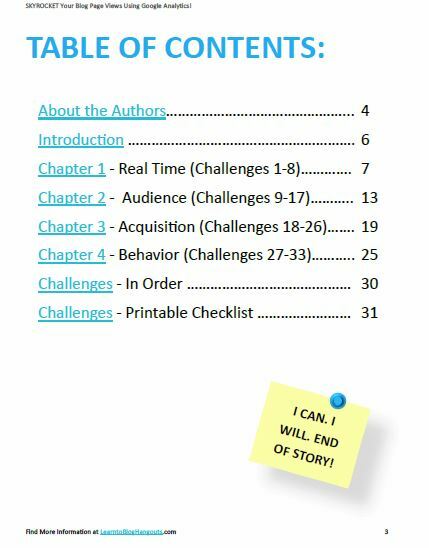 And really, there are more like 60 challenges in the book since each step has multiple concrete ways you can drive traffic and increase your pageviews. I love that some are things you can do for an immediate traffic boost and others help you learn how to increase traffic and revenue — Kelli & Crystal have shared quite a few things that I never knew and ideas that I just hadn’t thought of yet. You will feel empowered to tackle Google Analytics once you complete the tasks in this book. Kelli and Crystal are great at breaking things down to make them easy to understand and most importantly implement. Google Analytics contains a wealth of information to help you grow your business, but it can be overwhelming to navigate and understand. Skyrocket will help! This is a book I return to time and time again. Finally an easy step by step guide on how to increase your search traffic. I love how Kelli and Crystal broke everything down into short and detailed tasks. 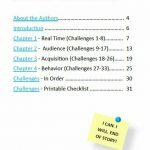 I printed out the ebook and work on tasks in little bits of free time and the changes have been dramatic. I could not recommend this book more! This book helped me to see beyond my limited goals and taught me how to set and achieve higher goals than I’d ever imagined. 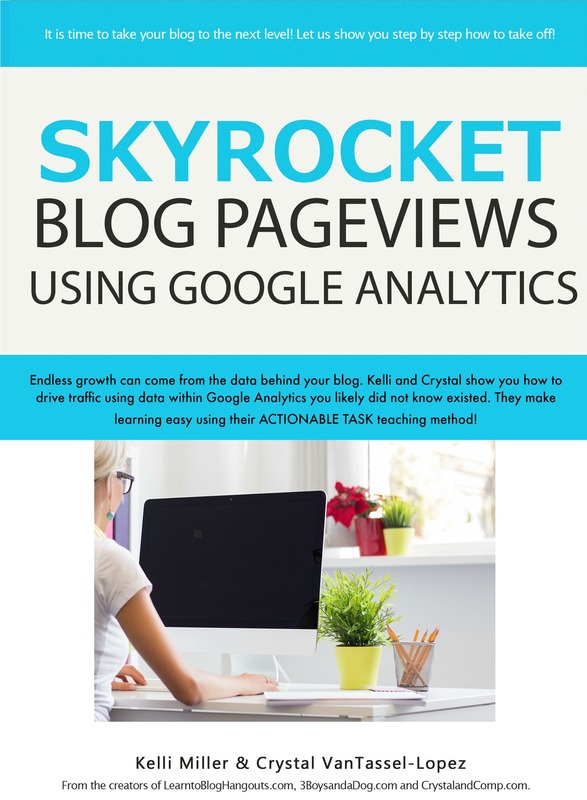 I loved Skyrocket Blog Pageviews Using Google Analytics. It was eye-opening and really helped me take charge of my goals and my blog. It also took me from 100k pv to 200k pv. By really focusing and working on each step this course helps you achieve your goals and teaches you so much about GA. I learned so much about using Google Analytics from this course! Most importantly, I want anyone considering this course to know that you don’t have to be “techie” to understand and benefit from Skyrocket. The material is presented in a clear, methodical way, that is approachable even for beginners. The many sample graphics are helpful too! I saw results very quickly. I have started using Skyrocket this week and I can see that it’s already helping. Skyrocket really helps you to understand the wealth of information available on Google Analytics, where to find it, and how to use it to grow your blog. It’s a great, great product. But I wouldn’t expect anything less from Crystal and Kelli. These ladies bring it every time. But it today. I promise you won’t be sorry.